but none will match your living grace. 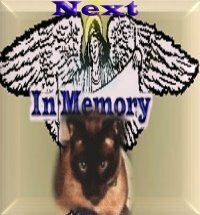 On Sunday, November 29, 1998 David Maybury said goodbye to his beloved companion of 14 years after she had been attacked by a dog at 9:45 p.m. Saturday evening. A brief attack lasting no more than one or two minutes by a relative's Lab/Husky cross in David's home left Dawn, a black American short-haired cat with extensive injuries. Her jaw had been broken in two places, head, neck and chest trauma was suspected. After an initial examination the vet on duty at an emergency animal clinic in Whitby, Ontario believed that even if there was the possibility that Dawn could survive the surgery required to fix the jaw and the intravenous feeding she would have needed to stay alive, if she had been shook as the vet believed she had that there would be significant brain damage. With the odds stacked against Dawn's survival, David opted for the one choice he never hoped he had to make. "She went peacefully," David said having asked to have the opportunity to hold his beloved companion one last time before the veteranian put Dawn to sleep. "The last thing she heard was me telling her that I loved her." Dawn's untimely death brought to an end a 14 year relationship with David who had rescued her as a kitten from an abusive situation. A female friend's boyfriend had badly abused the kitten and when David recieved Dawn into his care her whiskers had been cut off. This page is in honor of Dawn's memory for all the joy she brought into David's, his wife Teresa and two and a half year old son Daniel's life, it contains reflections from them, how they coped with the grief of pet loss and other links to pet loss support sites. Dawn's Gallery: Photos of Dawn with friends and relatives. Gift of Compassion: An unexpected donation in Dawn's name turned out to be the best Christmas gift of 1998. Guidelines for Responsible Pet Ownership: Pets are a long term commitment. Here are some guidelines to help those who are considering getting a pet of any kind. Pinpoint Your Dog's Potential Risk: Knowing your dog and making sure he or she gets the proper training can help avoid your dog being a bite statistic. First Aid for Pets: Some quick tips on warning signs for problems and what to do in emergencies. If Your Pet is Missing: Some advice to help search for a missing pet. Pet Loss Support and Pet Memorial Sites: A list of helpful links for people dealing with grief from losing a beloved pet and touching tributes to faithful friends. 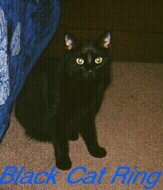 This Black Cat Ring site owned by David Maybury. 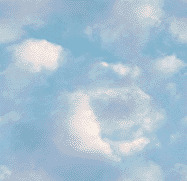 Click here to join ring. site is owned by David Maybury. 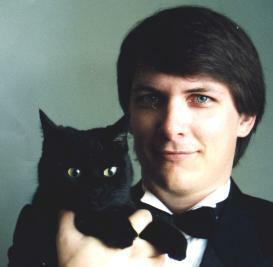 This Canadian Cat Ring site site is owned by David Maybury. Want to join the Canadian Cat Ring?